The mission of the City of Springdale's Building Department is to ensure a safe and sanitary environment for the community through enforcement of City and State laws relating to construction and land use regulation. The links below are for the approved revised Springdale Zoning Code and Updated Springdale Zoning Map. The revised zoning code supersedes Chapter 153, Title XV - Land Usage, of the Springdale, Ohio, Code of Ordinances shown on the American Legal Publishing Corporation’s web site. The link below is to be used for the Springdale Zoning Code until it can be updated on the American Legal Publishing Corporation’s web site. This update date has not been set. The Building Department also coordinates all applications to the Springdale Planning Commission and Springdale Board of Zoning Appeals. The Building Department is managed by the Building Official and staffed by an inspection supervisor, building inspector, property maintenance inspector and administrative secretary. Gregg H. Taylor, P.E., P.S. The Springdale Building Official manages the day-to-day operations of the Springdale Building Department and is responsible for enforcement of the City's land use regulations. The Building Official also serves as the staff liaison to the Springdale Planning Commission and Board of Zoning Appeals. 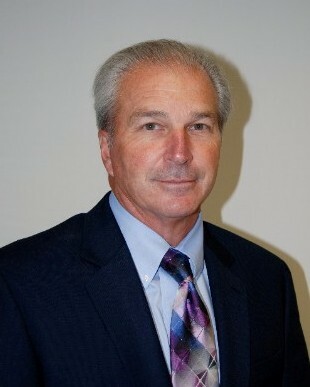 Gregg Taylor joined the City of Springdale in May 2015. He brings with him over forty years of experience in the construction industry working both in the public sector as well as the private sector. This blend of experience from both sides of the building and construction industry should provide the Building Department with an opportunity to successfully and effectively manage and address community issues brought before the department. Throughout his career, Gregg has secured several professional certifications which are expected to benefit the City and our customers very well. Included in these certifications are: Building Official, Master Plans Examiner, Building Inspector, Residential Building Official, and Residential Plans Examiner. Prior to arriving in Springdale, Gregg served the City of Westerville, Ohio for over two years as their Master Plans Examiner and five years in the same capacity with Greene County (in the Dayton area). Before his career in code enforcement, Gregg was an award winning residential home builder, land developer, and consultant. Gregg is a graduate of Purdue University where he received his Bachelor in Civil Engineering. He has been a registered professional engineer since 1979.